This Menu-Driven DVD contains two 7-8 minute videos with subtitling in both English and Spanish (DVD Format Only). Recognizing the Threat - Whether it's bullying, harassment, or actual physical violence… workplace violence must be taken seriously. The first step in preventing workplace violence is recognizing the potential for violent behavior in an individual before it escalates to a violent action. Active Shooter: How To Survive - This short, dramatic program demonstrates the essentials for surviving a tragic event that happens all too often across our country. 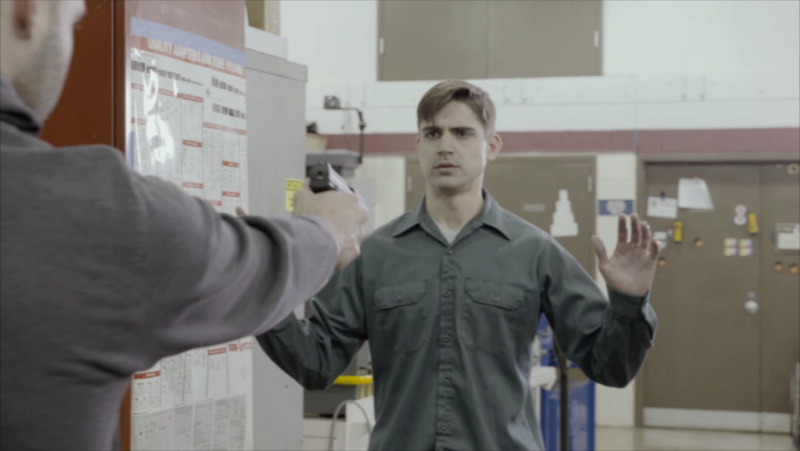 The video follows a dramatization of an Active Shooter event and identifies proper behavior and procedures that save the lives of those involved. Why employees and management must work together to prevent workplace violence. Why it is important to speak up when noticing signs of threatening behavior. What the common signs of a troubled individual are. How to properly respond to aggressive and threatening conduct. How to evacuate the premises properly during an Active Shooter situation. What actions to take when hiding from an Active Shooter. How to respond when police arrive on the scene. What to do when fighting the attacker becomes your last resort.